Have Pride In Your Outdoor Entertaining Area Once Again! Enjoy evenings with family and friends on your newly restored patio and outdoor areas, a place to be proud of once again! Your patio is generally the focal point, and the most used part of any garden. 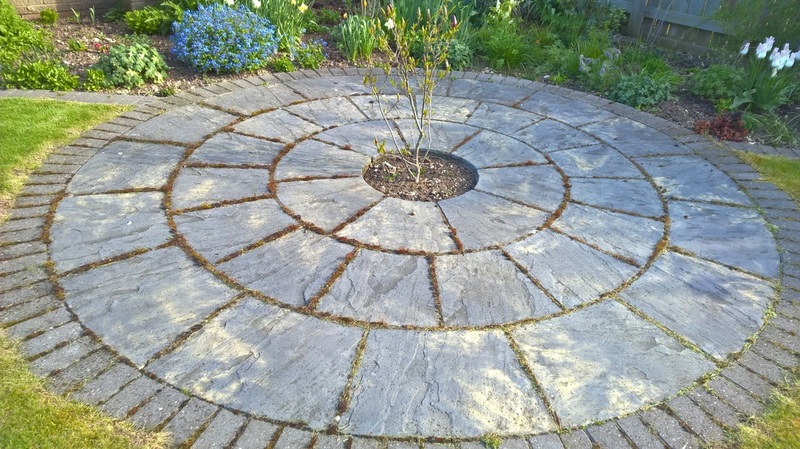 When first laid a patio is a lovely addition to any garden, but left un-maintained the patio can soon start to look tired, dirty and unkempt. We offer a specialist patio cleaning and patio restoration service. Application of Patio Sealer... Once the patio has been throughly and professionally cleaned and restored, the application of sealers will waterproof the surface, reduce colour loss and give long term protection from the elements. 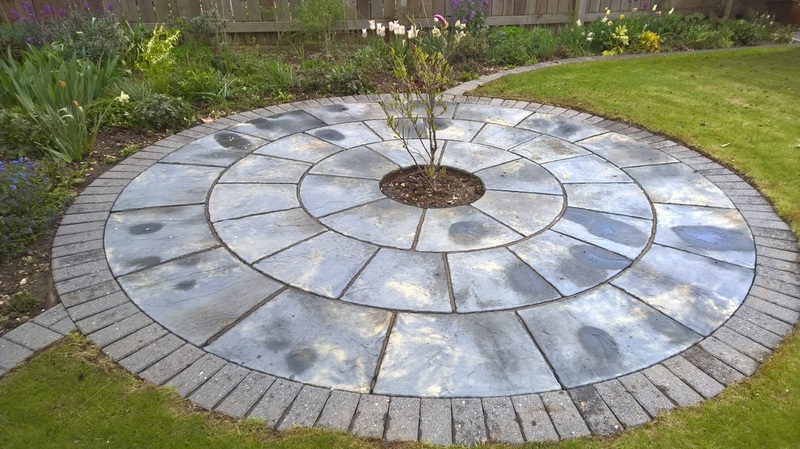 Mrs. Williams is a long standing client and asked if we could clean and restore the colour to her slate patio, "so it looks like it does when it's wet, but without the green". So thats what we did with great results. Now she has a patio to be proud of on the long summer days! case study: patio area in Driffield-restored & re-jointed! Mrs. Meacock had family arriving over the holiday weekend and with the good forecast wanted to entertain in the garden and on the patio. The patio was covered in green algae and moss, had lost some mortar from the joints and was in need of restoration. Having done previous work for Mrs. Meacock we were called in to carry out this work. We were able to produce amazing results, bringing it back to new look and Mrs. Meacock was delighted with her newly restored patio and couldn't wait for her family to arrive! case study: patio in Bridlington-restored & re-jointed! Mr. Walton had a green, slippery patio, and the older part was missing the joints to most of it. So restoration & re-jointing was need. We were called in and, after restoring the wonderful colours and then re-jointing, Mr. Walton was absolutely delighted and can use the patio areas with pride when visitors and family come to visit. Mr & Mrs. Walton are once again extremely proud of their patio area!